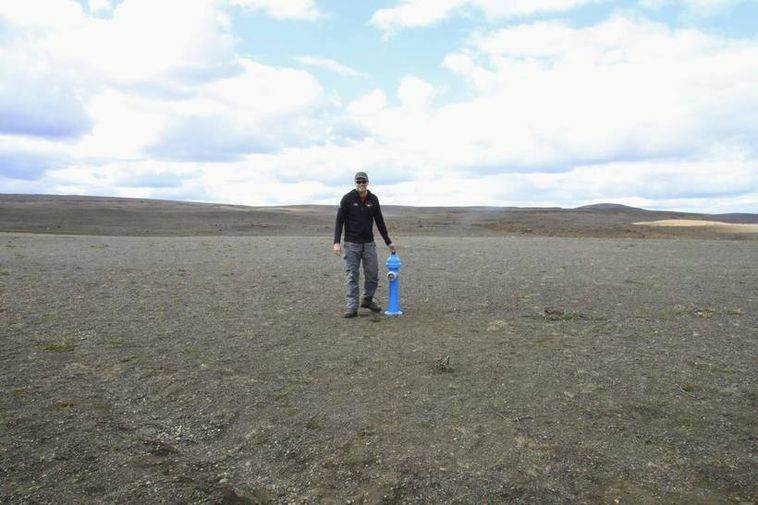 A blue fire hydrant has appeared, seemingly out of nowhere, in Nýjadalur valley in Iceland's most famous highland desert, Sprengisandur. Nobody seems to know where it came from and who placed it there. "All I know is that it's not connected to water," said Hjalti Björnsson of SAR team Flugbjörgunarsveitin í Reykjavik, speaking to mbl.is today. It seems that the fire hydrant has been there for around a month.